It’s 4am and the jet lag has woken me up far earlier than I would have wanted. I open the curtains and am greeted with pitch blackness so I pick up my phone and check on the twitterverse with whatever limited phone signal Yosemite has to offer. By 6am the light is beginning to creep over the High Sierras and I’m itching to get outside, so I throw on my running gear and escape. 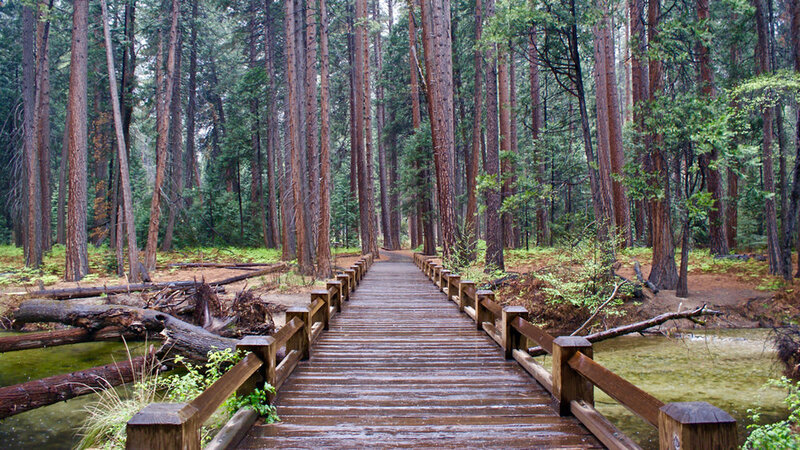 The air is saturated with the sweet smell of pine but it’s too cold to stop and admire, so I start running in any direction. After a few minutes I notice the lack of noise around me. There is nobody around for as far as I can see or tell, and I seemingly have the entire national park to myself. The only noise penetrating the forest is the sound of early birdsong and the rushing of a waterfall, so I follow the latter. 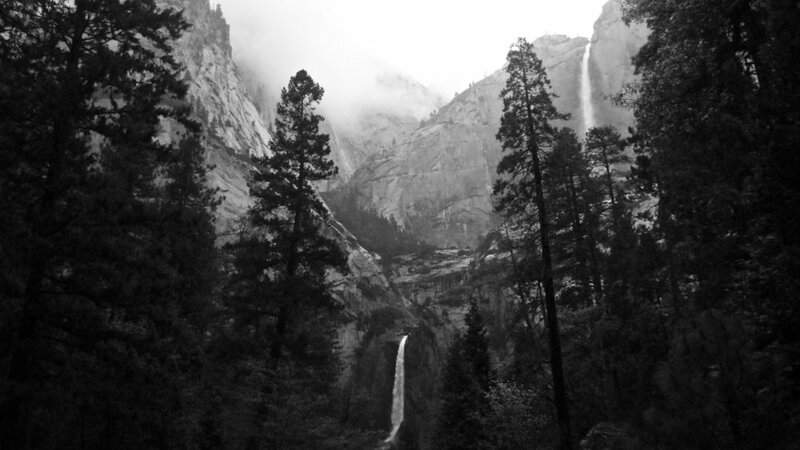 When I arrive at the base of Yosemite falls the place is deserted. It would be only later the same day that I discover this area is usually packed with tourists taking photographs and admiring the view. But for now it’s just me and the tallest waterfall in North America. I stay at the falls for a while, it’s difficult to leave, but as the morning mist begins to fade I make my way on and start running in the direction of Half Dome peak with an extra spring in my step. But why was I here? This wasn’t in fact some idyllic spring holiday I had taken, but an Apple conference. They called it ‘Yosemite by Cocoaconf’. CocoaConf is a touring training conference for Apple developers based in the US, and has been going on since 2011. 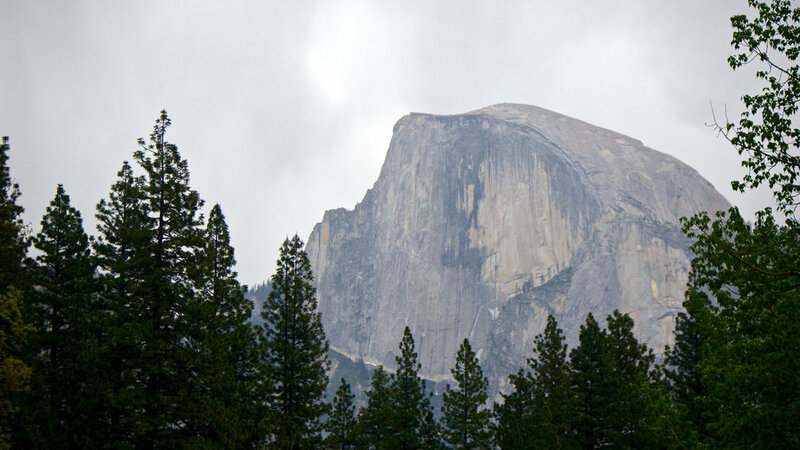 Since Apple started naming its operating sytem OSX after Californian locations it seemed obvious that somebody at some time would organise a pilgrimage to one of these, but to my knowledge nobody had. CocoaConf just happened to be the only conference ambitious enough to attempt this with OSX Yosemite. Who knows whether this will become a theme for the next versions of OSX, but we all hope they pick somewhere nice. On two separate occasions during the conference I heard someone say “Thank god they didn’t name it OSX Oakland”. The theme of this conference was unlike any I had been to. 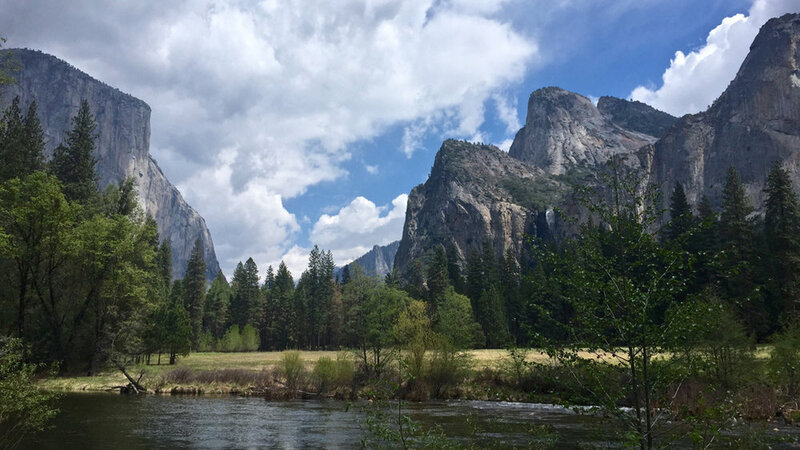 Sometimes feeling more like a spiritual getaway than a tech conference, the talks at Cocoaconf Yosemite were more focused around self improvement for you and your company. Talks ranged from tips on managing your team and projects to learning how to avoid burnout, to the history of the Gregorian calendar; all of course within the context of Apple and its products. There were also some more technically focused talks in the mix including Christa Mrgan’s excellent walk through designing interesting looking apps for iOS8, Andy Ihnatko on the history of wearable devices and expectations for the Apple Watch, and Andrew Stone’s wacky talk on the lifestyle of working for Steve Jobs at NeXT in the 80’s. However, the focus of this event was not to learn or discover new technical skills. This conference was more focused on bringing together a set of likeminded people to discuss the platform they love to build upon, trade war stories from their careers, and share ideas. Whilst sharing ideas with people of different backgrounds can lead to new and interesting revelations, I came to realise that sharing ideas and philosophies with likeminded people can often strengthen and expand those you already have. Every person I met seemed to be at the top of their field, working for large companies and startups alike, all with their own perspective on building apps for the Mac and iPhone. And whilst meeting people in the industry was great for professional networking, I was also very pleased to meet some familiar voices in the world of podcasting including Guy English, Serenity Caldwell and Jason Snell. In addition to the location and talks at Yosemite, the third main attraction was the attendees themselves. The conference had a very small audience of approximately 80 people, and every one that I met had fascinating backgrounds and views. 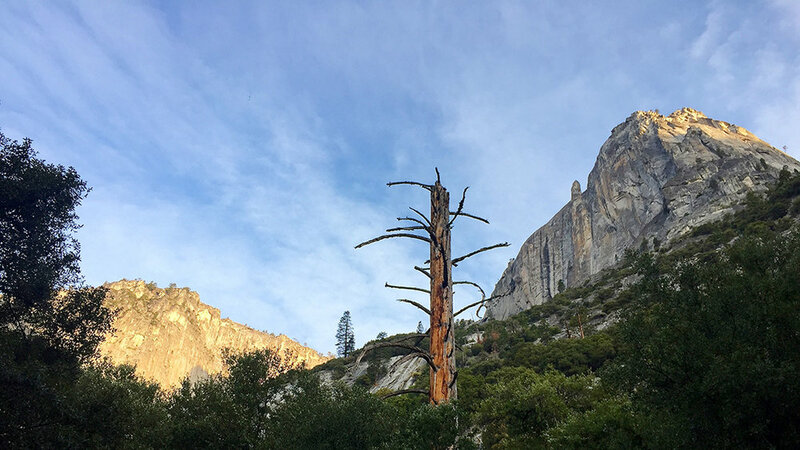 Networking of this kind was made even easier by the included daytime activities that had been organised to help attendees explore Yosemite valley. For example, a guided photography walk around Yosemite falls with TED conference photographer Duncan Davidson allowed me improve my photopraphy skills and trade shots with fellow attendees and speakers alike. Unlike most conferences, networking was never the primary goal but instead happened entirely by accident through a mutual enjoyment of the location we found ourselves in. I would usually look for a more technically focused conference so I approached this one with an air of skepticism. But I found all of the talks to be fun, interesting and dare I say it, inspirational. I would almost go as far to say that in comparison to a traditional conference where there is no guarantee that I might come home learning anything new, I gained more value coming home from a conference that made me see the work a do a little differently and with a boosted enthusiasm. And what better place to feel inspired than one of the most beautiful national parks in the world. A wonderful experience for someone in any industry. Needless to say, I came home from my time at Yosemite hungry for more. One day I’ll go back and explore all the High Sierras have to offer in full. But for now I encourage anyone to consider attending a conference not quite as focused on a particular language or technology, but on your profession as a whole. You might find it will help you to see your work differently for months or years to come. And who knows, you might just have fun in the process.